Call (02) 4472 4224 or email to BOOK! Offer starts 1st February 2019 and ends 30th April 2019. 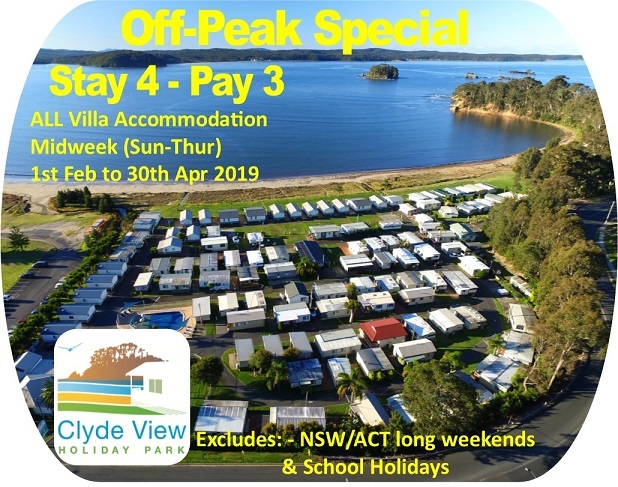 Offer applies to all Villa Accommodation only. Discounted rate valid for midweek ONLY, Sun-Thur nights. Offer is based on twin share tariff. Extras at normal rates.